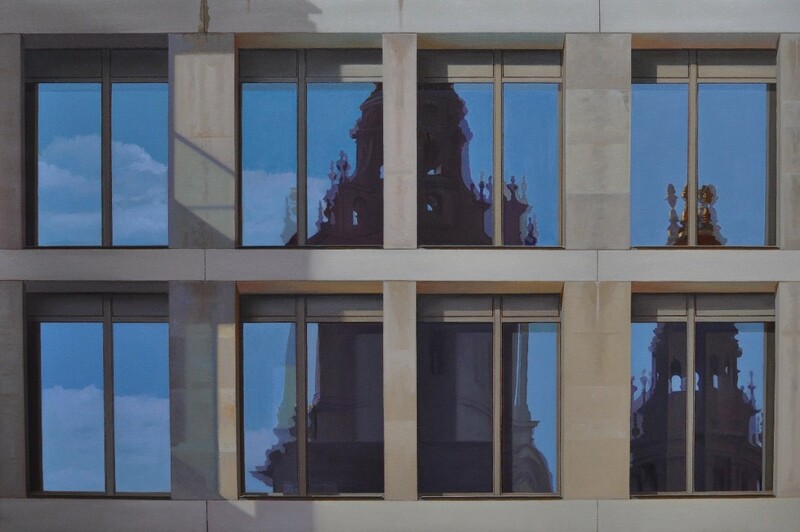 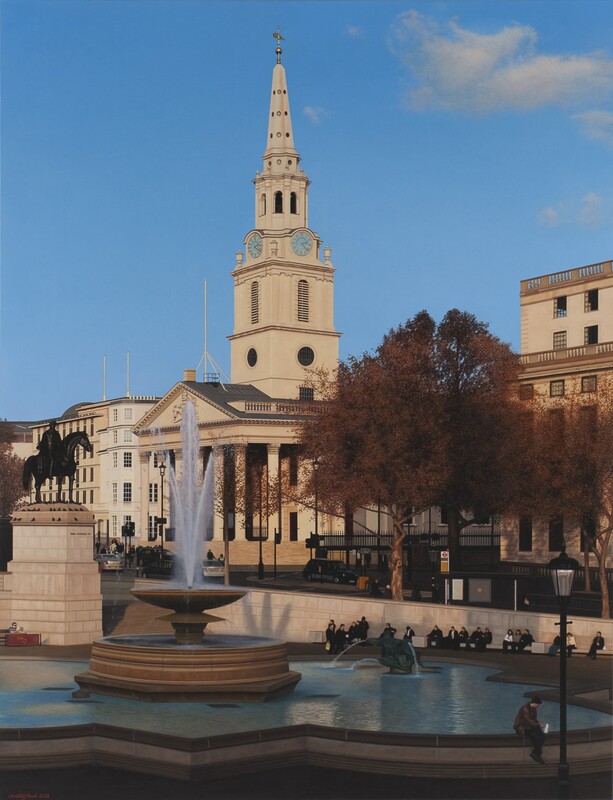 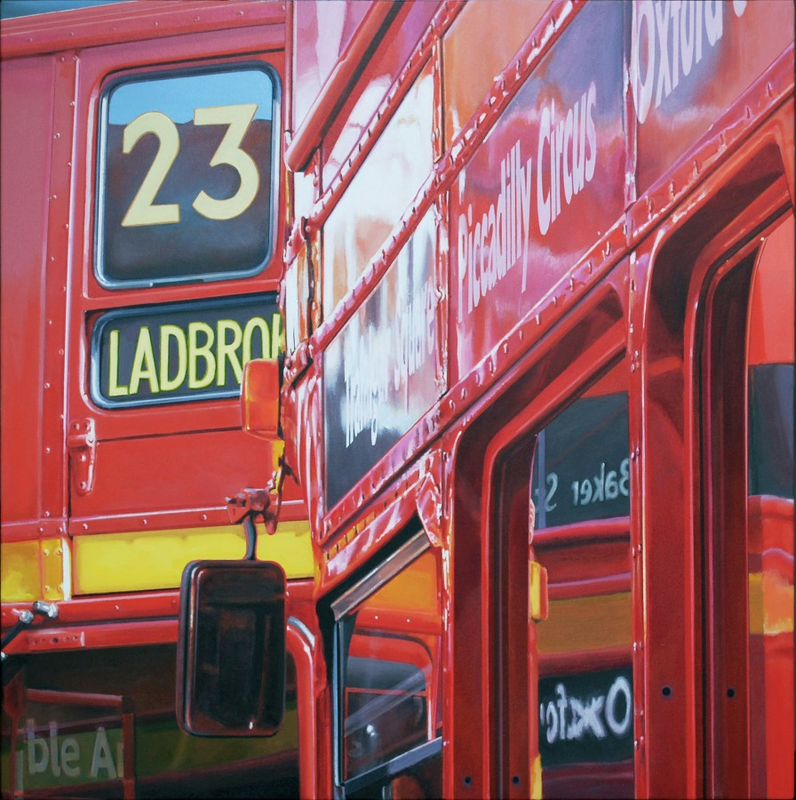 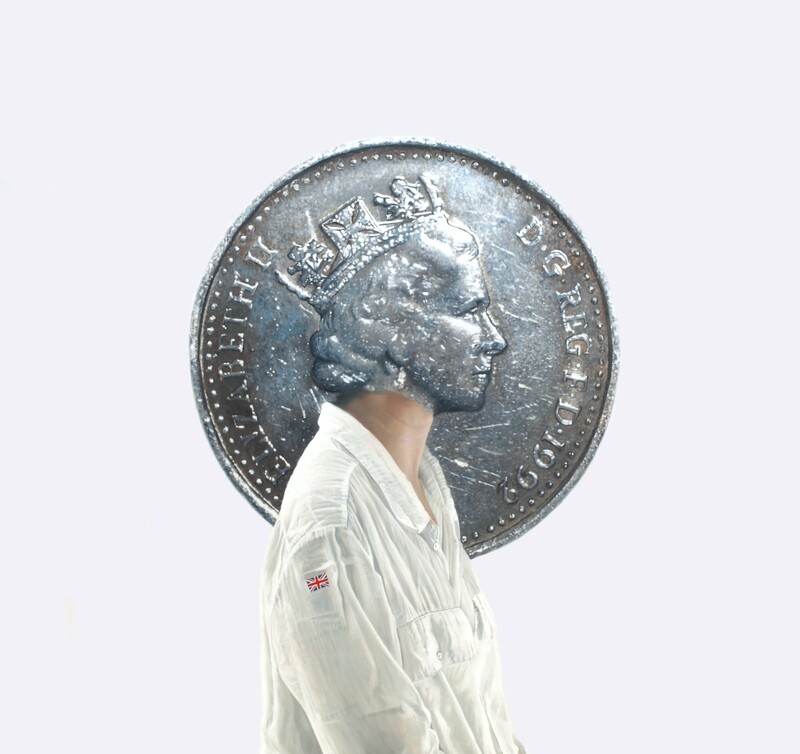 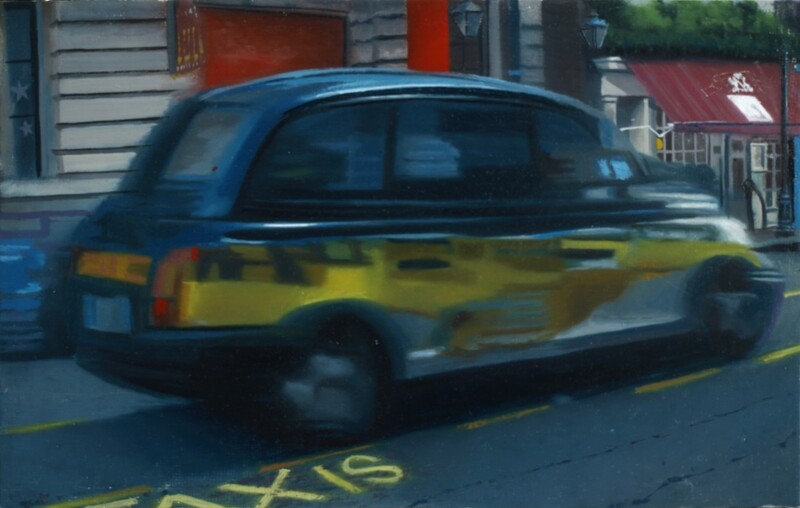 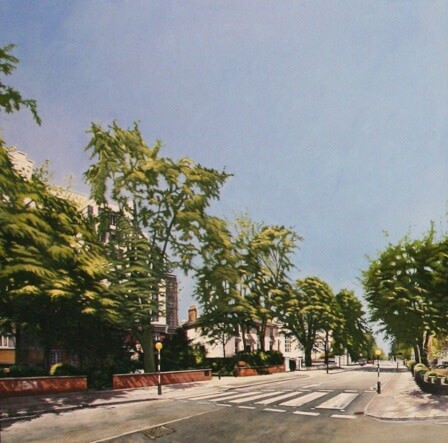 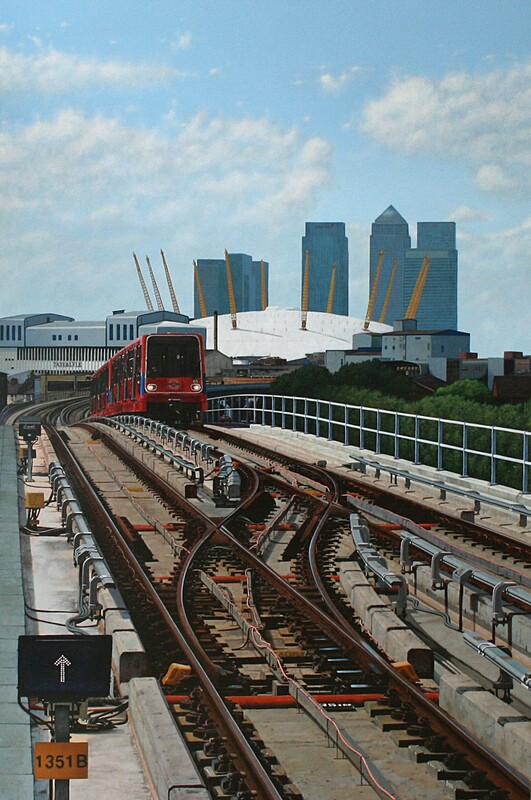 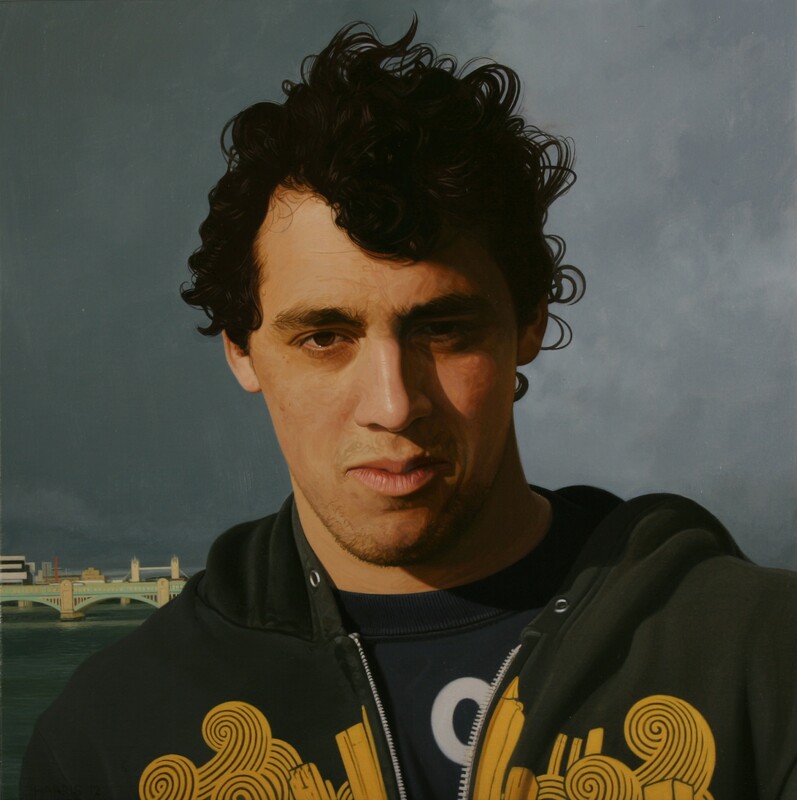 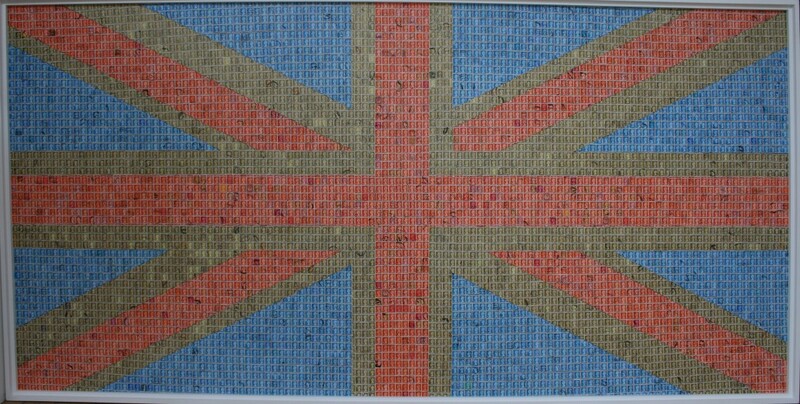 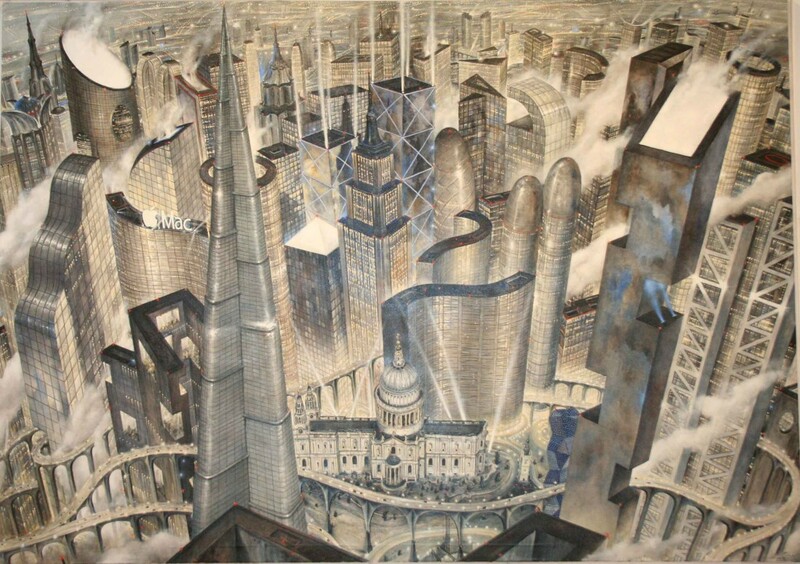 London's Calling: A hyperrealist Group Show with a London theme to open the Olympic Art Summer! 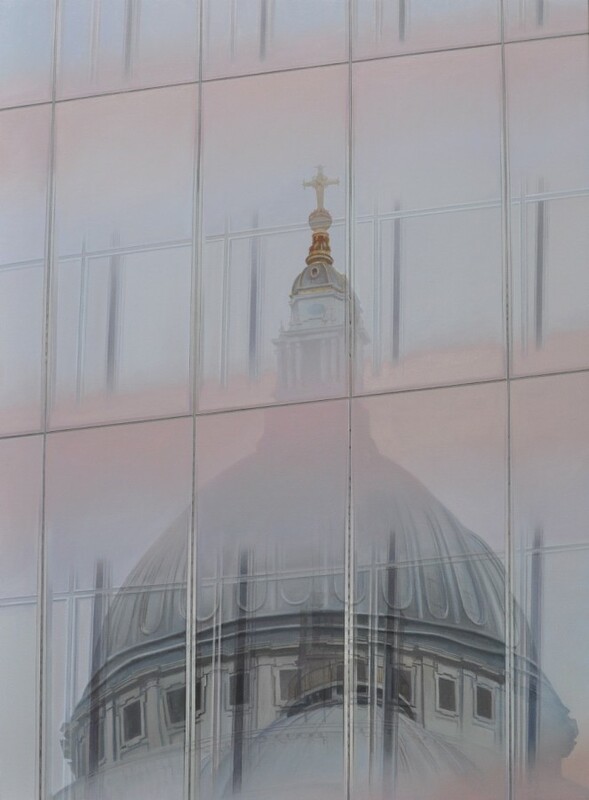 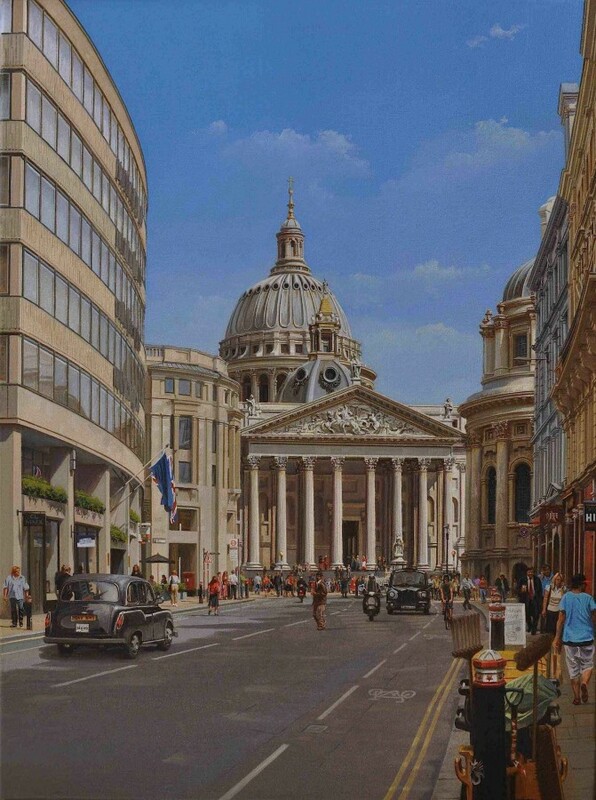 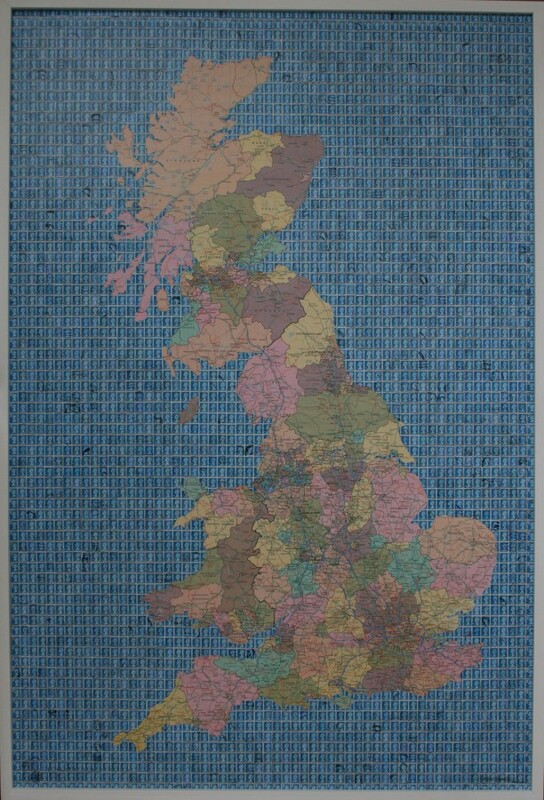 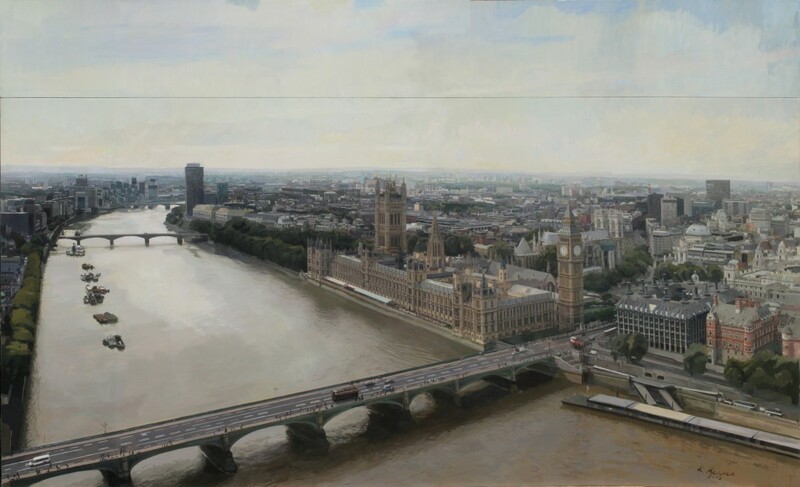 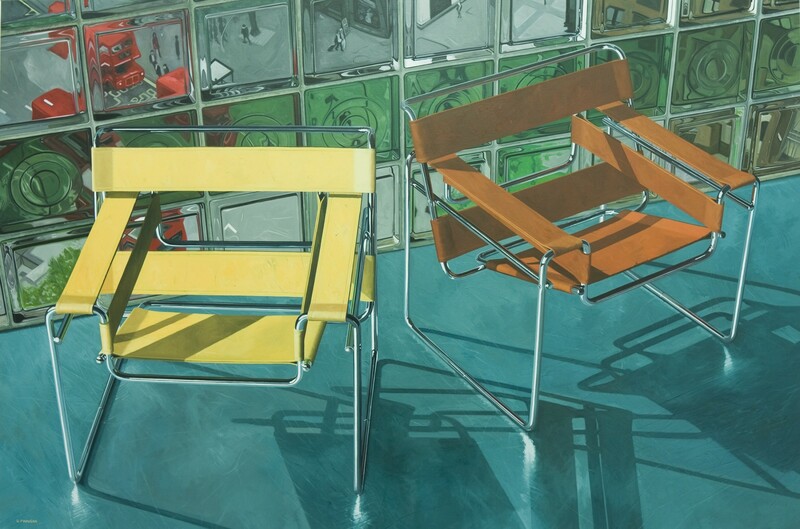 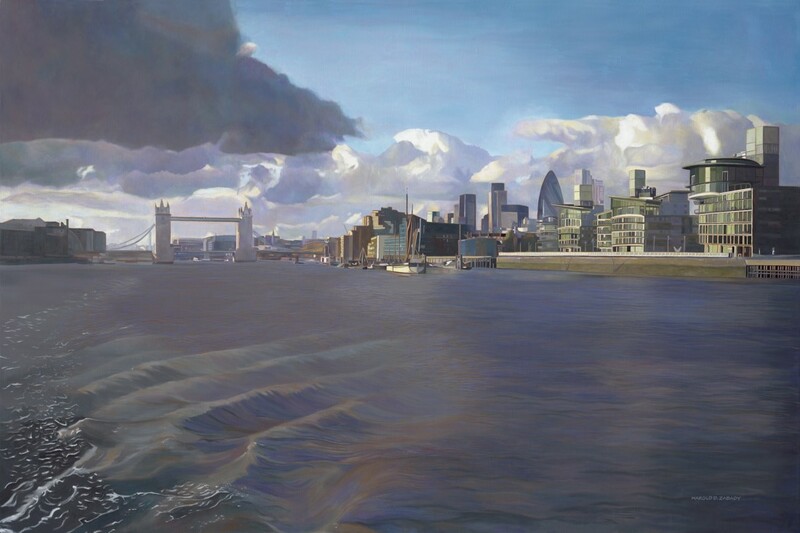 Great Britain, summer of 2012, the whole world is looking our way - and Britain is looking right back; looking that is through the hyperrealist artworks in our July exhibition, for each and every painting has a British connection. 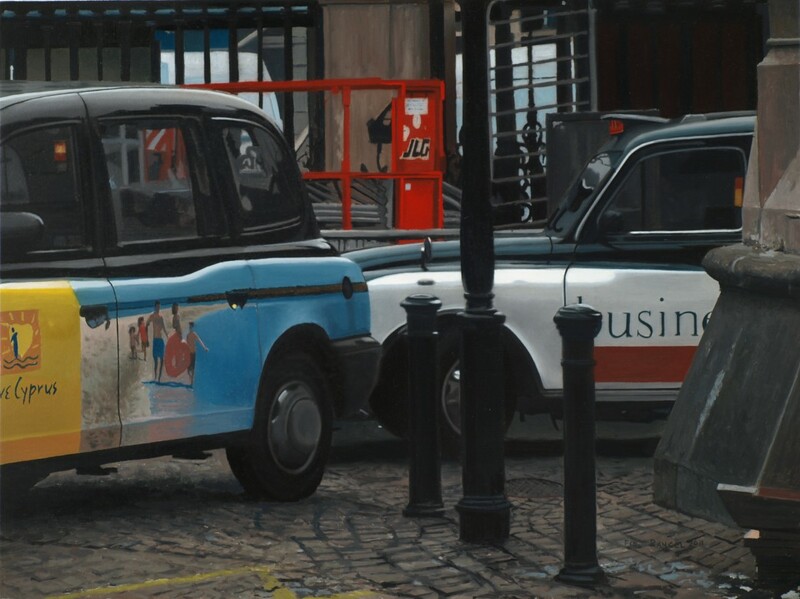 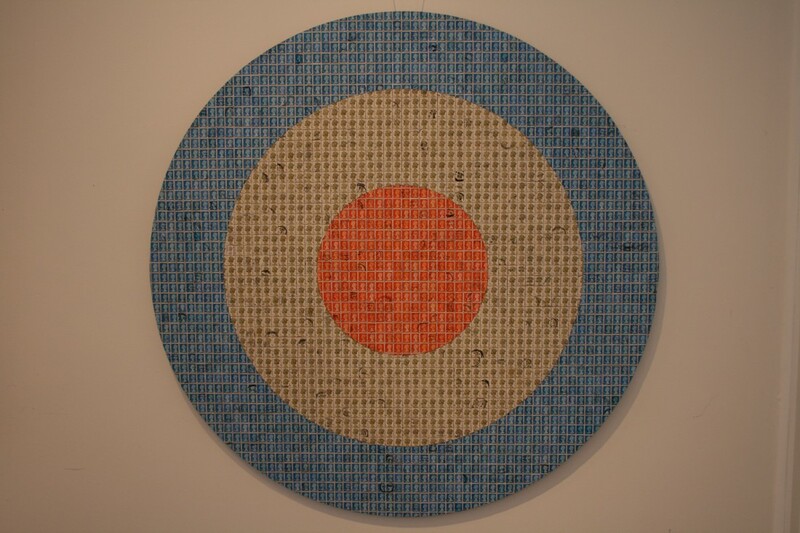 The participating artists come from different corners of the world [including Mexico, USA, Zimbabwe, England, Scotland and Spain] and are joined together not only by hyperrealism but by Britain, and London in particular, as the theme for their pieces created for this show especially. 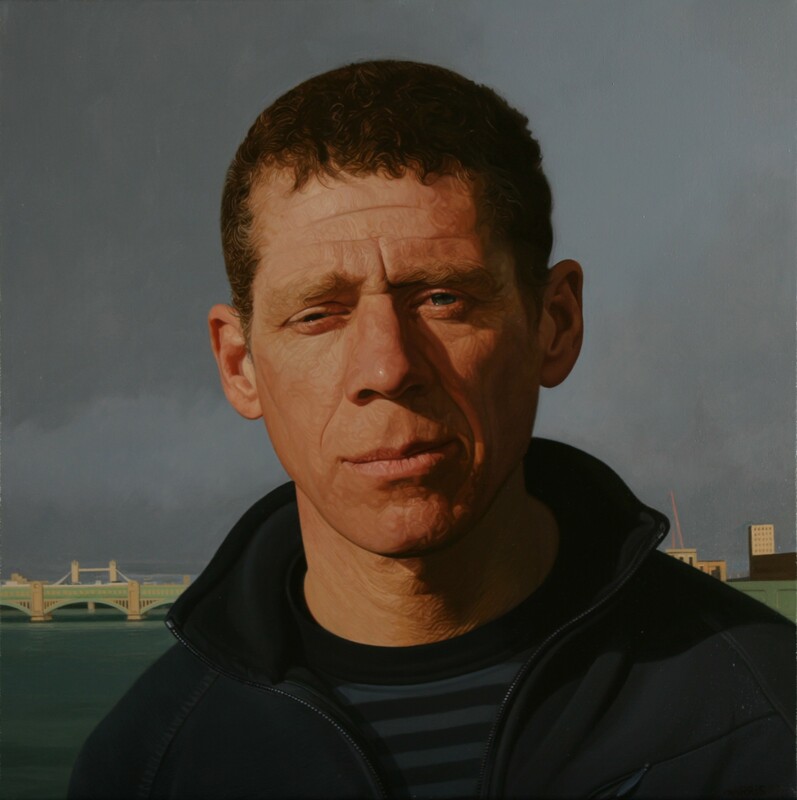 In the show you will be able to appreciate a slice of the essence of Britain, of London, in each painting as seen through the eye of each of the artists. 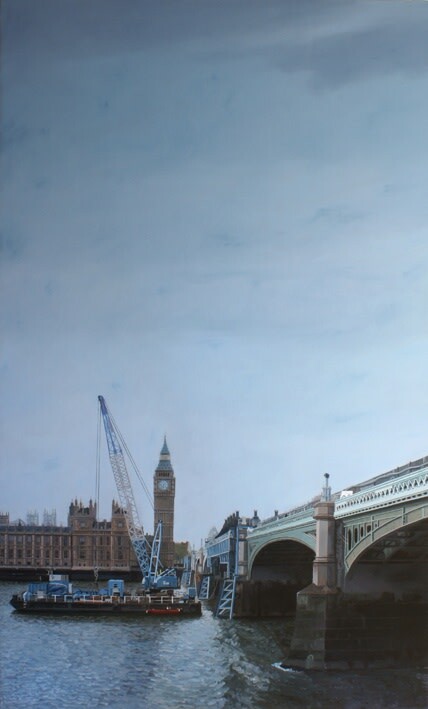 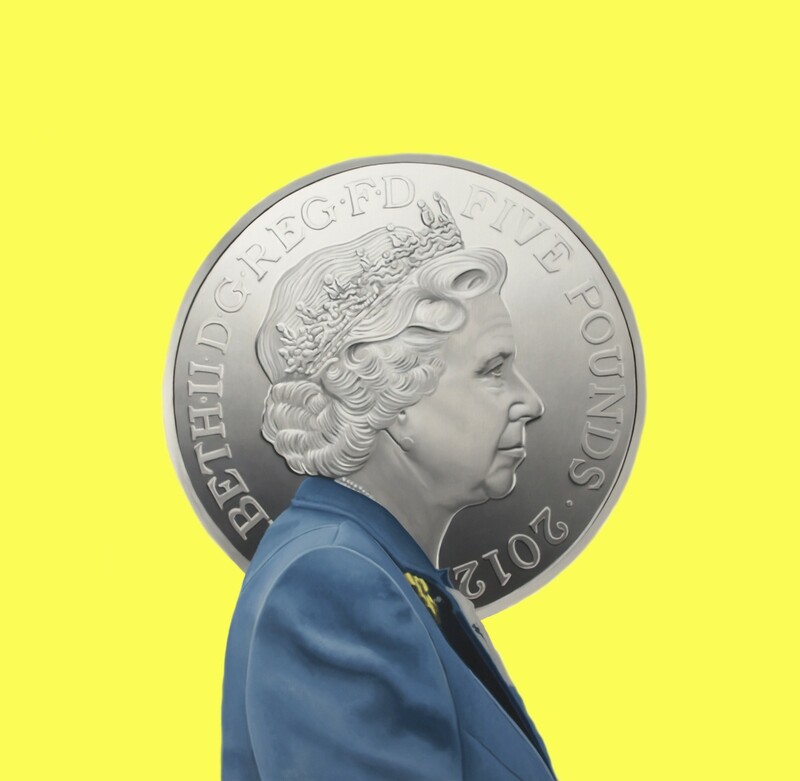 More than 15 new pieces will be on show depicting everything from atmospheric urban landscapes of London neighbourhoods in the Royal Borough of Kensington and Chelsea, to iconic landmarks in the City of Westminster, to clever depictions of Her Majesty the Queen. 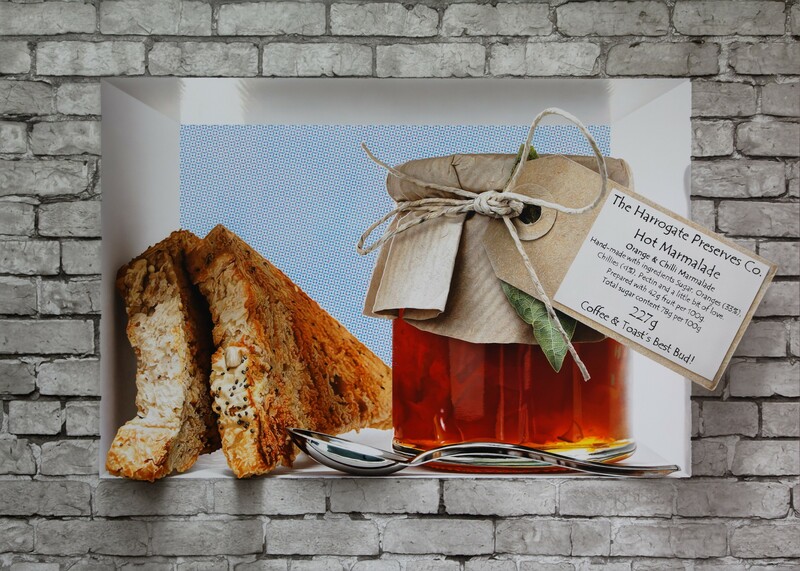 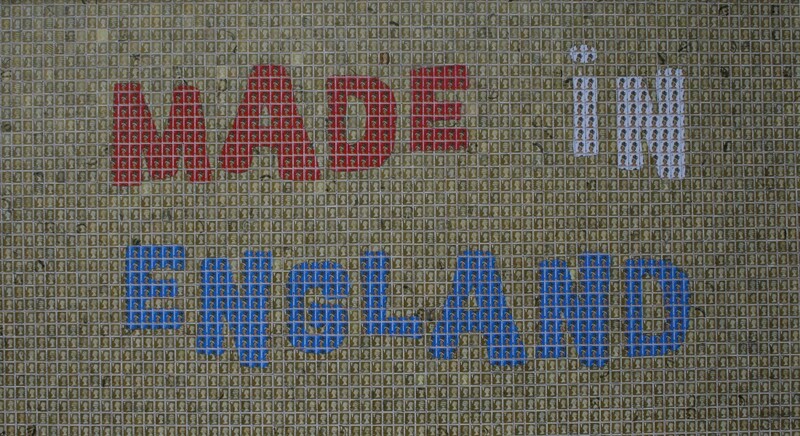 Not to mention food stuffs you will no doubt recognize as typically English and lots more in between the British bricks and mortar and Abbey Road offerings. 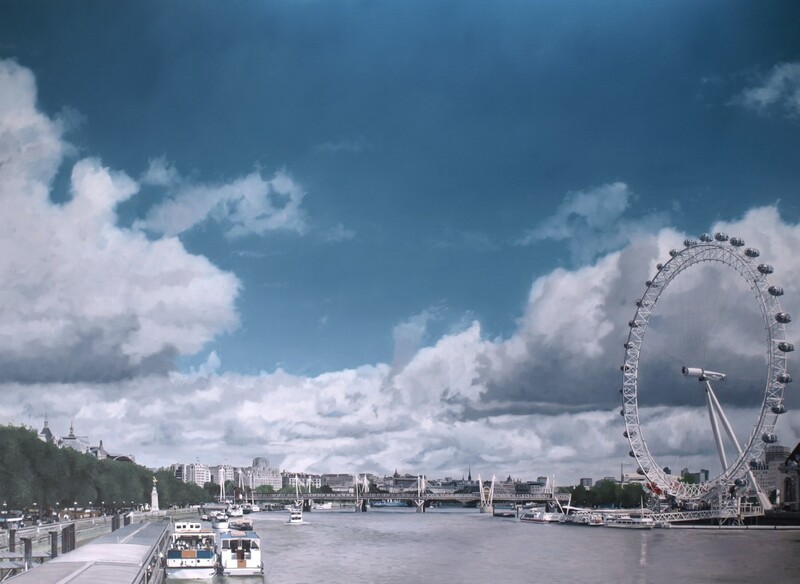 But pay heed as nothing is quite as it seems, as panoramic views splays out in front of you take a moment to discover that you’re getting more than a natural eyeful. 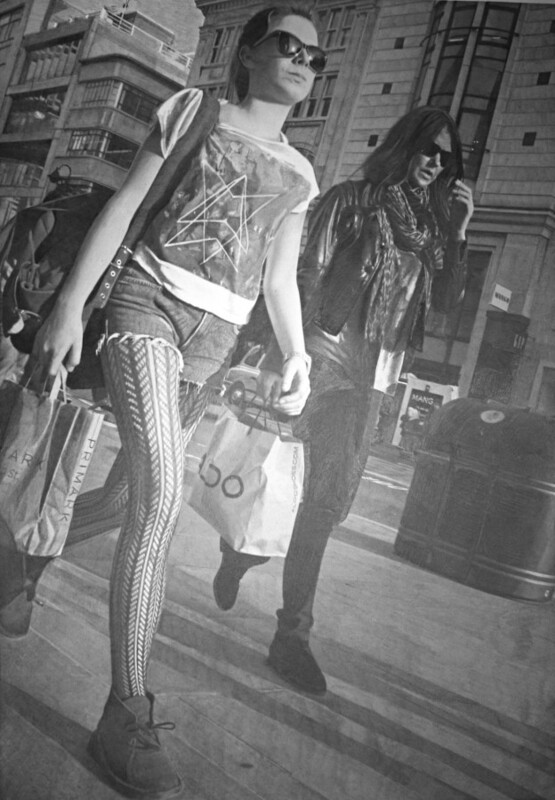 This effect is a skillful trick particular to hyperrealist artists. 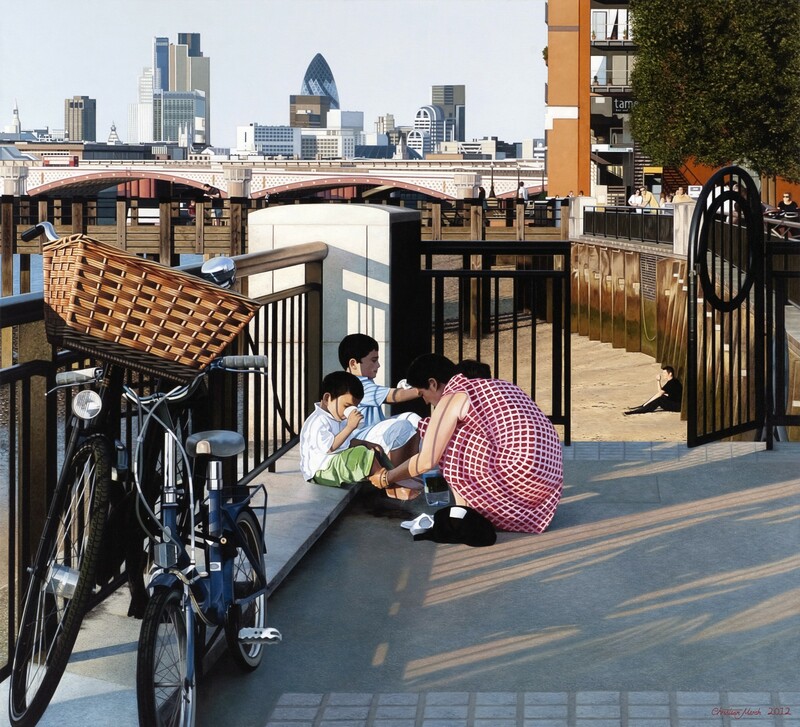 To depict not just what directly and obviously appear, but to paint even more - through, behind, and all the way around objects and scenic views in ways which could never been achieved through a mere photo, or indeed if looking at an object or gazing out over the urban landscape in situ. 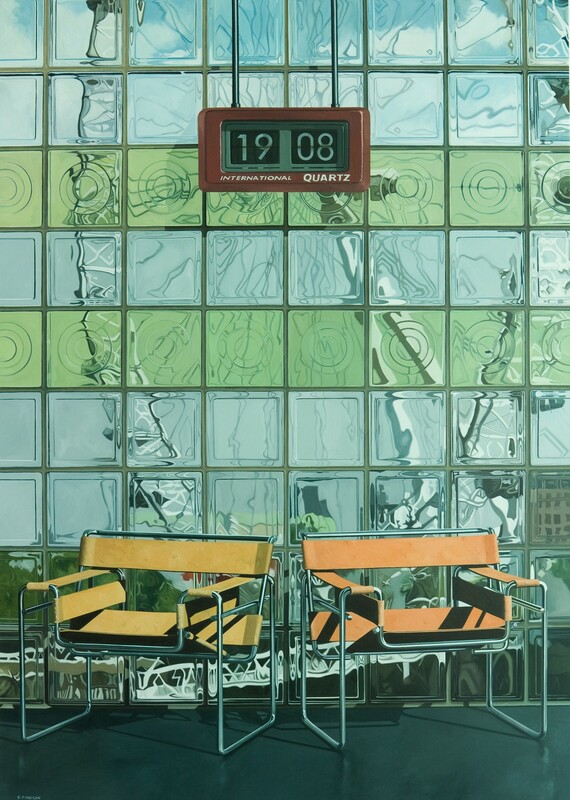 The artists achieve this by extensive research and preparation work: gathering reference images from different viewpoints, angles and focal lengths and in some cases manipulating compositions with modern digital aids. 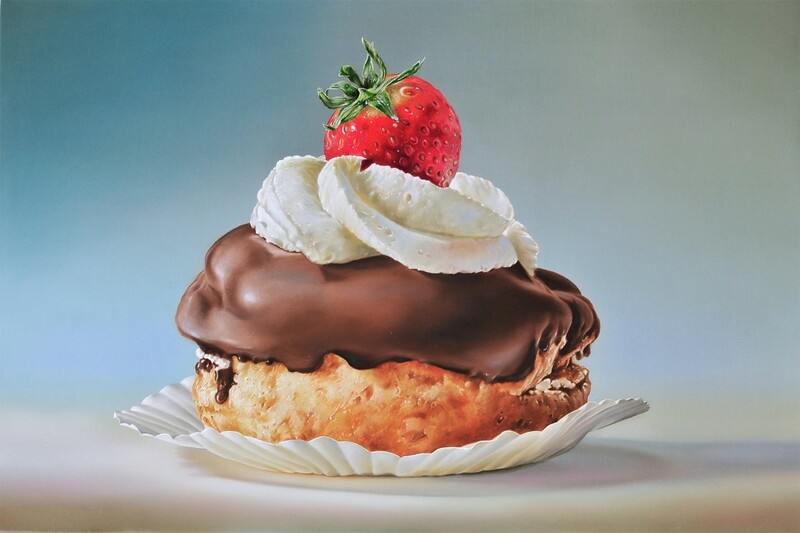 They then typically create a number of detailed drawings before putting brush to canvas and ultimately creating a completely unique piece of fine art befit for the discerning buyer.